The SQRT function simply allows you to take the square root of a number. 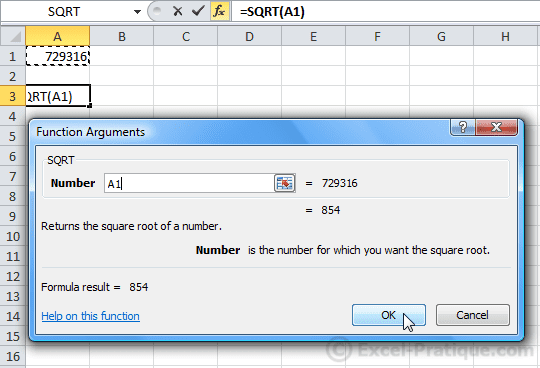 Select the SQRT function and then enter a number or the name of a cell that contains a number whose square root you would like to take. The result will be the square root of the number in A1.